During your visit, we encourage you to explore the local town or spend time on the beach, where you can swim in the warm waters of an intense blue ocean. We are just 20 minutes away. 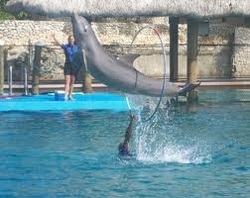 In your leisure time there are numerous local attractions to visit and experience. Our favorites are exploring the botanical gardens on silver mountain, taking a tour of the Fort San Felipe, built by the Spanish colonists, or visting the amber museum. There are also many shops where you can purchase larimar, an extremely rare gemstone that can only be found in the Mountains of he Dominican Republic. A museum with the original ruins of Columbus' first city, remains of his house and the city church. 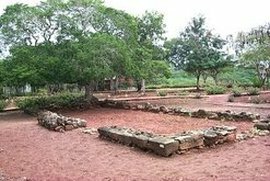 Taino exhibits that feature how the Indians lived, how they prepared their meals, their utensils and tools for hunting and fishing. Replica palm frond huts. An adventure park, marina and casino. Large entertainment complex. 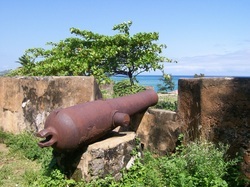 Originally erected to protect the city of Puerto Plata from attacking pirates and corsairs. Commisioned by King Felipe II of Spain, now a museum. One of 4 protected scientific reserves in the country and the highest manicured, botanical gardens in the Caribbean. There is a Cable car ride with panoramic views of the city. At the top of the mountain rests a replica of “Christ the Redeemer” the famous statue in Rio De Janeiro. 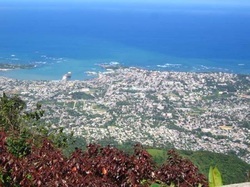 San Felipe de Puerto Plata, commonly referred to as Puerto Plata, is a short twenty minutes from the ranch. 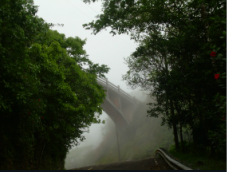 It is the largest town on the Northern part of the island, and a rich example of dominican life. 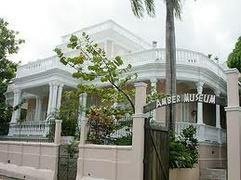 Known to house the most transparent amber in the world. Collections of amber with insects, flowers, leaves and even a lizard, dating back to 30 – 40 million years. Located in the well preserved 1918 Villa Bentz, a Victorian era neoclassic mansion. 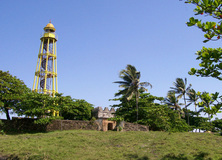 Located in Damajagua. Guided tours of the water etched limestone falls of Rio Bajabonico. Prefabricated in New York this skeletal tower, cast iron lighthouse was built in 1879. World Monument Fund aided and American Express funded restoration in 2004. A quick tour of the aging, blending and bottling plant. 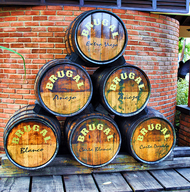 Short video of the history of Brugal Rum, taste testing and souvenirs.